There were 166 lots of medals and militaria in this sale. 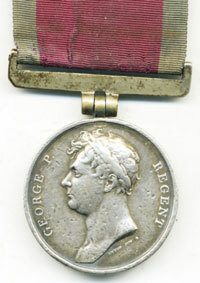 The highlight of the sale was the Waterloo Medal to Private George Willett of the Royal Scots Greys, which sold for £6,195. The Royal Scots Greys is the most iconic unit from Waterloo, being involved in their famous charge that was immortalised in Lady Butler’s painting. Private Willett received a lance wound in the back during the battle. The highlight of the WW1 section was lot 36, a Distinguished Conduct Medal & Military Medal group, to Sergeant Frank Dronfield of the 505th Battery Royal Field Artillery. The group sold to a room bidder for £1,534. 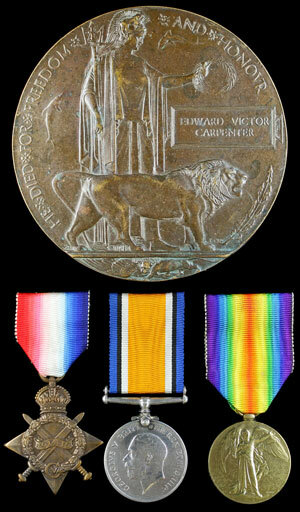 For the second sale running, there was a 1915 trio and plaque to a first day of the Battle of the Somme casualty. Lot 42 was the group to Corporal Carpenter, 1st Battalion Somerset Light Infantry and was sold along with the Queen's South Africa Medal belonging to his father, who died in the Boer War. The lot sold for £1,121. 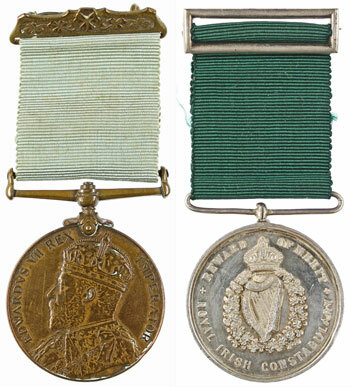 Lot 99 was a 1920 Irish Constabulary Medal with a 1903 Visit to Ireland Medal, awarded to Constable Jonathan Holmes. The gallantry medal was awarded for his bravery during the IRA attack on Kilmallock Barracks in Limerick in May 1920, during which the barracks were burned to the ground. The lot sold for £5,900. Lot 103 was an extraordinary and unique group to Captain Philip Geoffrey Malins, Indian Army Service Corps. He was awarded the Military Cross for bravery during post WW2 operations near Saigon, in September 1945, fighting alongside Japanese soldiers and released Dutch POWs. In 2010 he was awarded the Order of the Rising Sun and Silver Rays by the Japanese Government, for his reconciliation work between the two countries. This group was secured by a room bidder for £3,658. 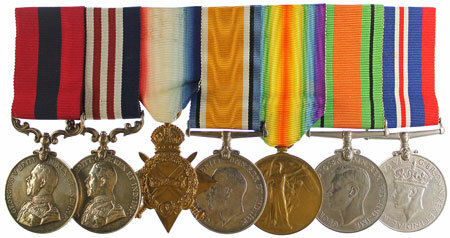 There were 5 lots of foreign medals and 22 lots of militaria in the sale. This Egyptian Order of the Nile 3rd Class neck badge sold for £165.